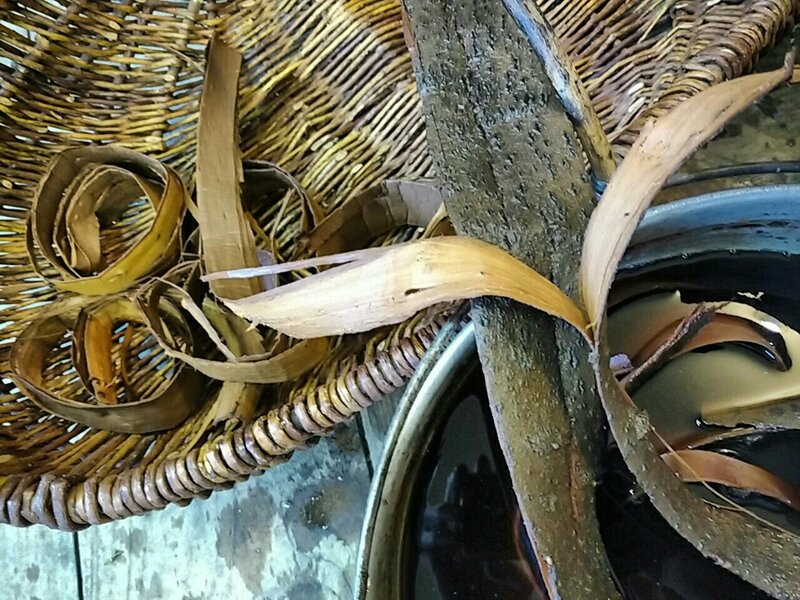 Other bark was dried, but much was brewed fresh for natural dye. 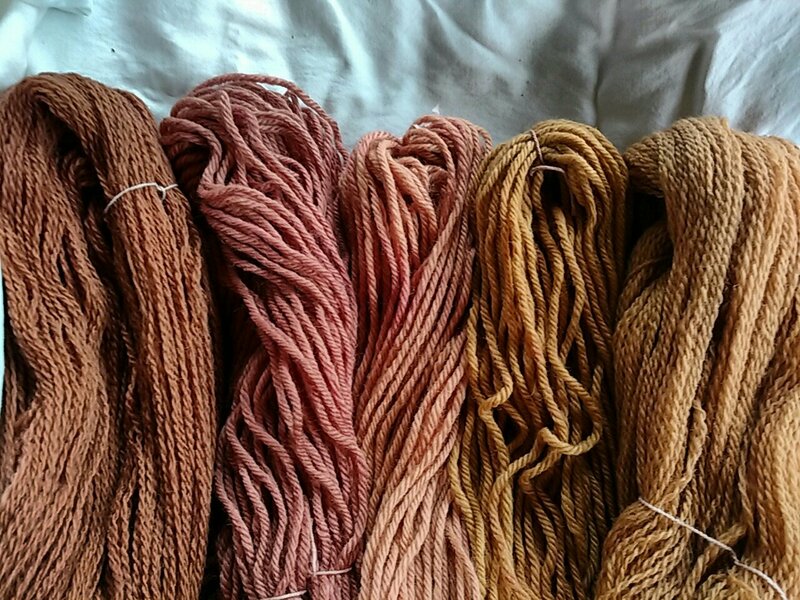 I tested some ideas for immersion dyes on wool. My preference for extracting a dyebath is still a slow simmer in Mom’s old aluminum jelly kettle, adjusting the pH so it is quite alkaline during extraction. I neutralize with vinegar for dyeing on alum-mordanted wool, using a Crock-Pot on the low setting and letting the yarn cool in the crock overnight. Alkaline and iron modifiers help extend the range of pink-browns I get. There still seems to be a lot of color potential in the exhaust, but in my tests that yarn is pretty blah. 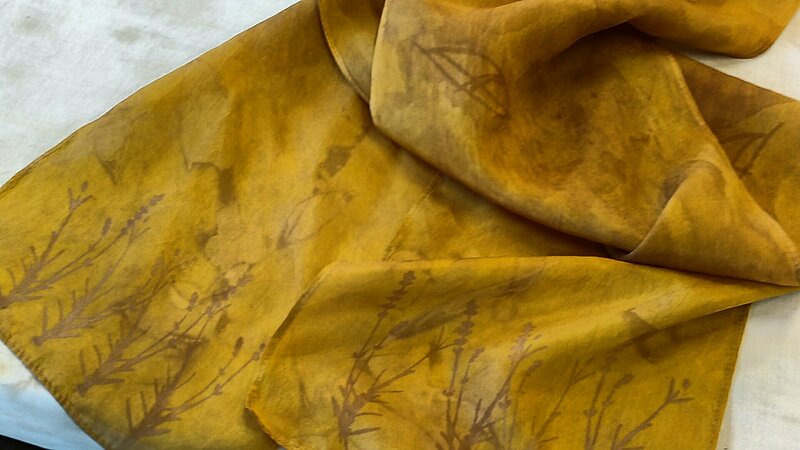 I’ve had very good success, however, with some new applications for cold, alkaline extraction of willow bark for surface design on fabric. This extraction method I first read about in Jenny Dean’s book A History of Colour, although I later found it mentioned in her older book Wild Colour and on her blog. I simply cut up bark (fresh or dried) and put it in a jar with water and soda ash. As long as the pH stays high, it doesn’t get stinky (if it does, I add more soda ash). This year, students have used this dye extraction in sun-activated techniques inspired by Japanese kakishibu, a tannic persimmon juice dye. 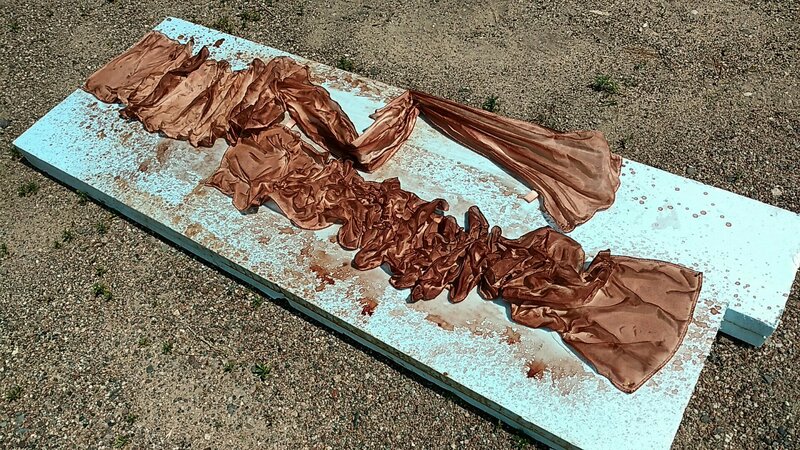 One is simply spraying the dye extract onto silk, scruncing the fabric, and exposing it to sun. 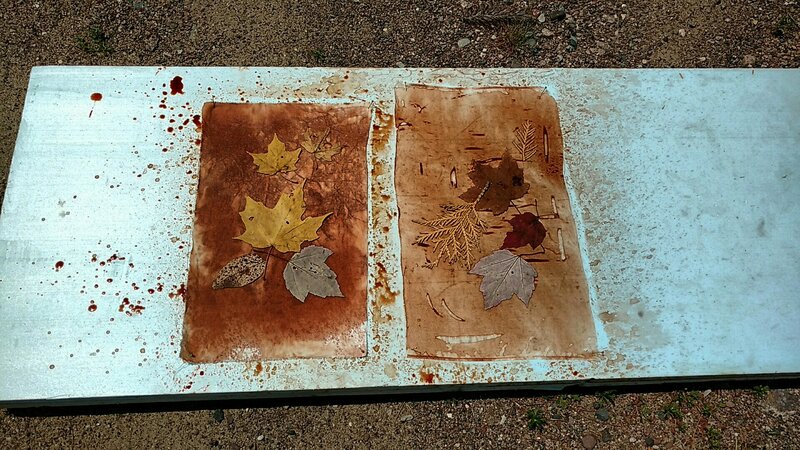 They also made photograms, placing plant materials on the wet dye before exposing. 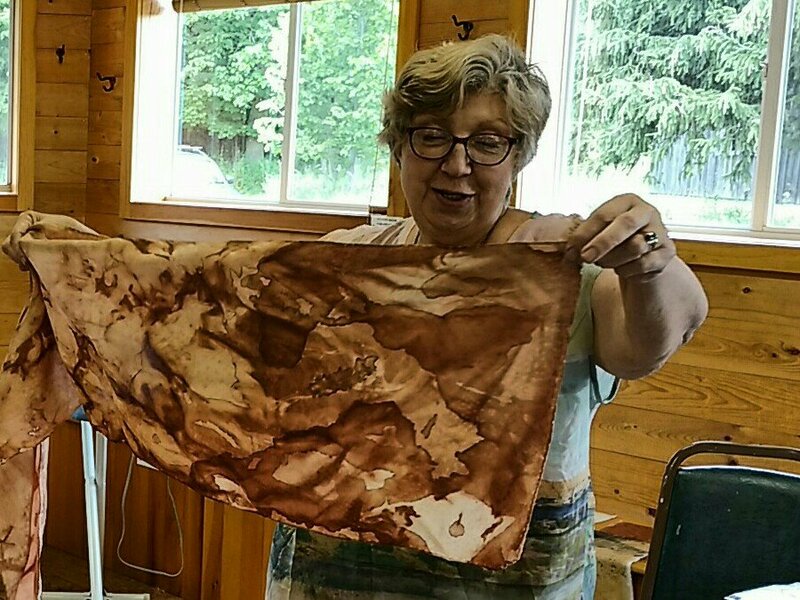 They also thickened the dye extract with sodium alginate to screen print on silk or cotton before exposing to sun, then simmering in an immersion dyebath to remove the alginate. 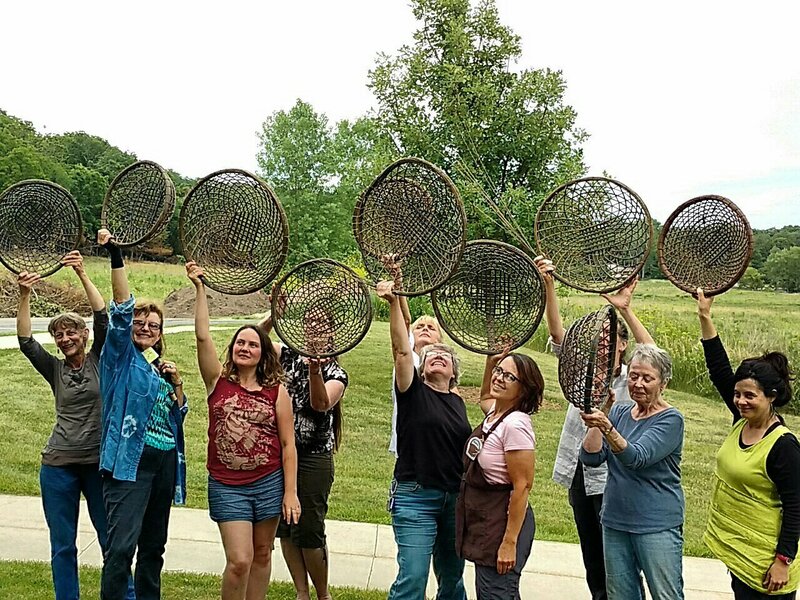 While much of my willow use these days centers on natural dye, I greatly enjoyed learning a new basketry technique at the Willow Gathering. Monica Guillera came from Spain this year to share Catalan techniques, including the Nansa fish trap. The shallow basket I made in Decorah is based on the shape used to gather fishing lines used for trolling. I’m using it now for drying staghorn sumac bobs. 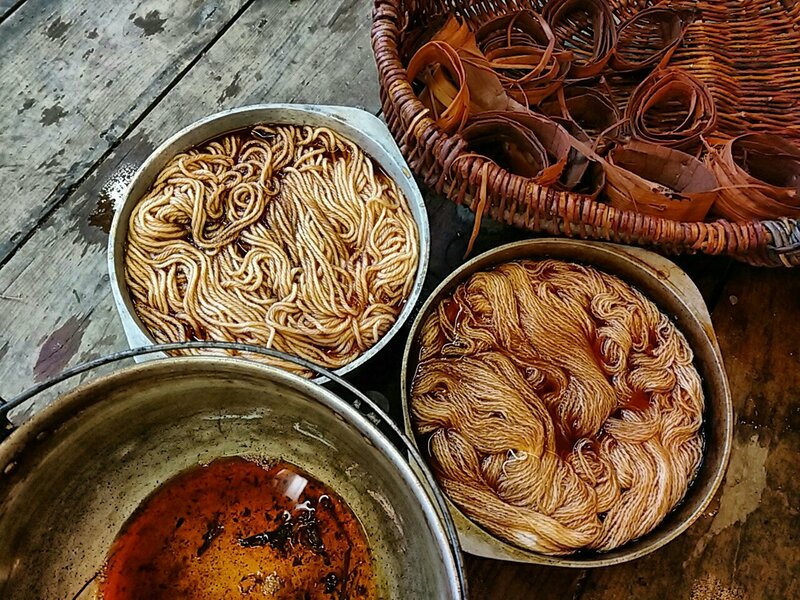 The season for harvesting, using and storing natural dye materials is in full swing right now. 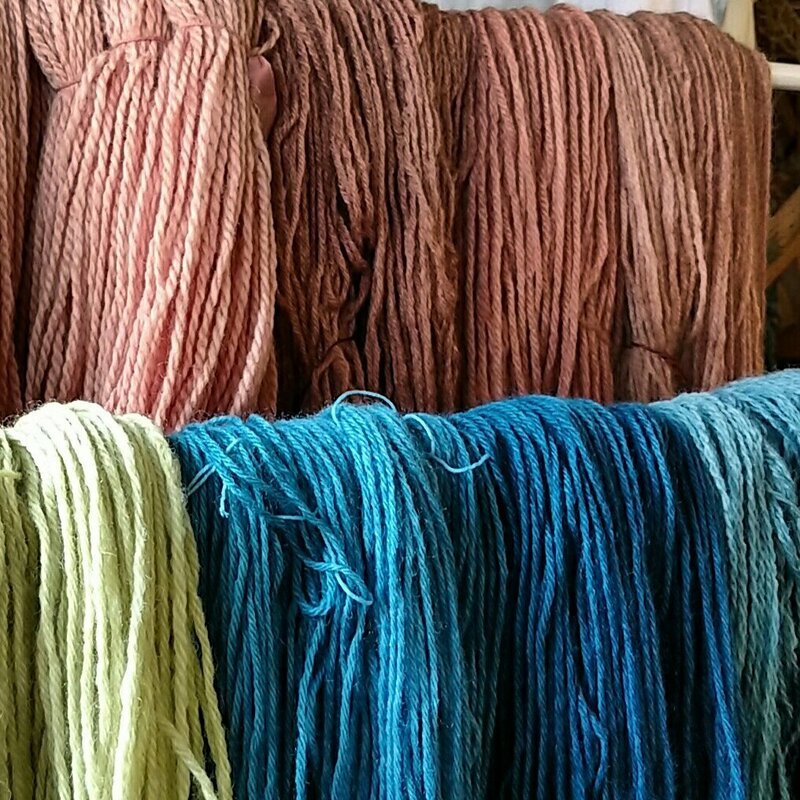 By the time snow flies, I’ll be set for winter dyeing. And the willow I split last fall will have seasoned a year and be ready for the next step in skeining. 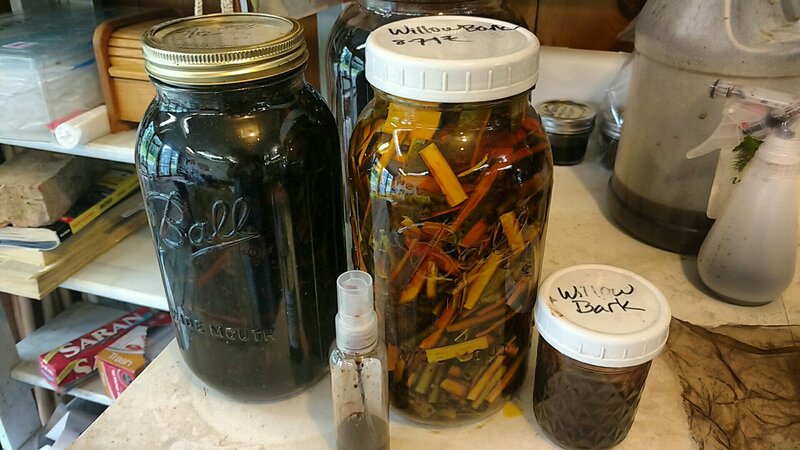 In the meantime, there is a comfortable rhythm in the studio — harvest, prepare, dye, wash. I’ll be spending a bit more time now adding natural dye products to my Etsy shop and getting ready for our November studio sale. But I think I have enough alkaline willow extract to do photograms on some rayon yardage for sewing this winter. If we get a nice, sunny day, watch out if you pull into my driveway!